This “people’s history of Mexico” is a well-researched and often informal explanation of Mexico’s history. 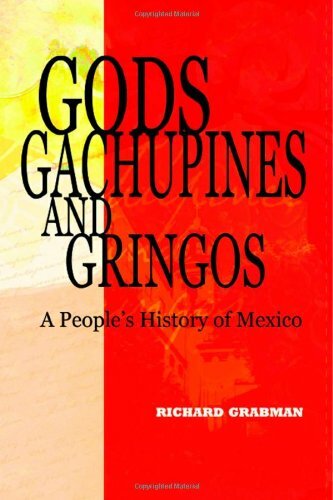 From an American Mexophile perspective, Grabman brings to life the culture of Mexico through humour in an informative and fun way. Grabman is at his best when exploring the relationship between the US and Mexico. While this book may not be what academics and history students are looking for, if you are interested in a fast paced general overview of the country, then this book is for you. 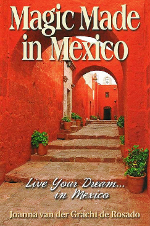 This personal memoir/ travel guide to Mexico would be an interesting book for retired North Americans who are thinking of moving to Mexico. Divided into three sections, the first personal memoir section describes the author’s move to Mexico and many of the usual challenges and high points that are faced by foreigners who move to the country. The second section of the book, “Adapting to Life in Mexico: A-Z” is perhaps the most interesting section for readers of all ages from around the world. There is a lot of useful information here on tipping, the family and communicating in the country. While as a whole, the book is predominantly aimed at retired North Americans, this section is an excellent read and offers real insight into many aspects of Mexican culture. 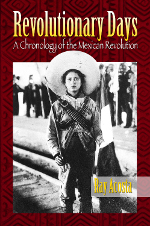 This book is a chronology of the Mexican Revolution, outlining day by day the events of this important epoch in the country’s history over the period of a century. It is well researched with many references to books in English related to the Mexican revolution. The references focus almost exclusively on English books. While certainly not a publication that one would read for pleasure, this book does what it says on the tin; it’s a guide to the chronology of the revolution and a starting point for further academic research into the events of this time, and as such could be a useful reference for scholars exploring the era.